First County Surveyor of Devon. 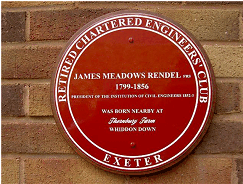 The plaque is fixed on the right of the entrance to the Imperial Hotel, St David's Hill, Exeter. The building was originally Green's home when it was known as Elmfield House. 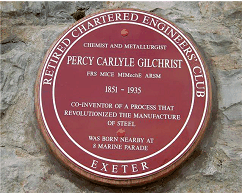 The plaque was unveiled by Edward Chorlton, Devon County Council's environment director on Monday, 3 December 2001. Inventor of the jet engine. The plaque is fixed to the north wall of the house known as Walland Hill, near Chagford where Sir Frank lived for fourteen years. The plaque is on private property but can be seen from the adjacent lane. 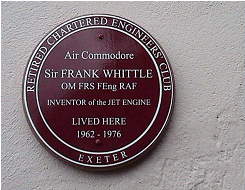 The plaque was unveiled on Wednesday, 3 July 2002 by Ian Whittle, Sir Frank's youngest son. President of the Institution of Civil Engineers 1860-61. 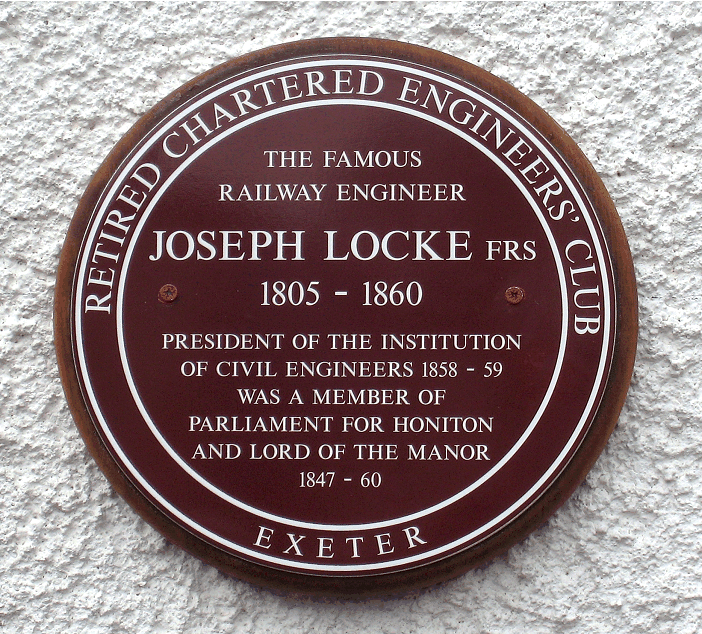 The plaque is located on the building facing The Square in the centre of Moretonhampstead. 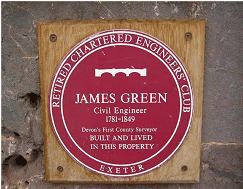 The plaque was unveiled by Adrian Sheppard, Chairman of the Institution of Civil Engineers SW, on Thursday, 29 May 2003. President of the Institution of Civil Engineers 1852-53. The plaque is fixed on the right of the front elevation of The Post Inn, Whiddon Down. The plaque was unveiled on Thursday, 9 June 2005 by Vardaman Jones, a director of High-Point Rendel. Co-inventor of the modern process of steel manufacture. The plaque is fixed on the retaining wall at the east-end of Marine Parade, Lyme Regis. The plaque was unveiled by Councillor Mrs Barbara Austin, Mayor of Lyme Regis, on Thursday, 30 March 2006. President of the Institution of Civil Engineers 1858-59. Member of Parliament and Lord of the Manor of Honiton. The plaque is fixed to the east wall of the old Angel Inn, High Street, Honiton. 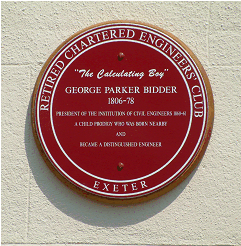 The plaque was unveiled by Gwilym Roberts, a former president of the Institution of Civil Engineers on Wednesday, 11 March 2009.